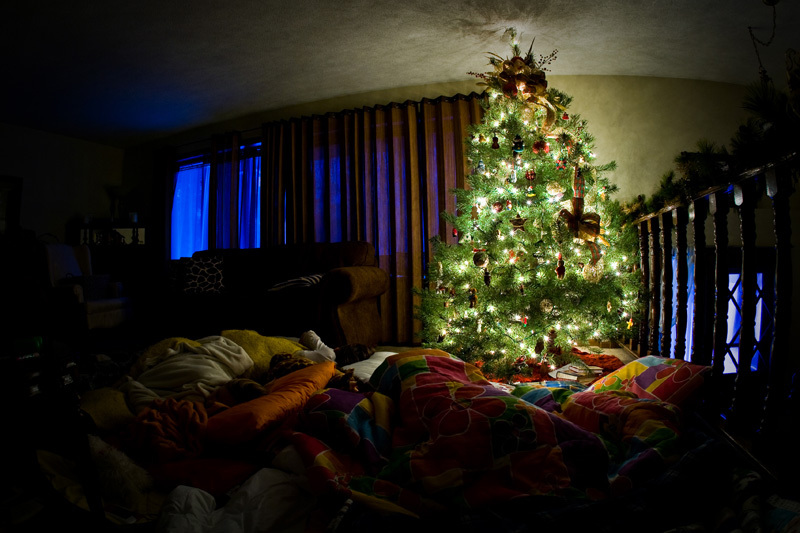 Last Christmas we had an awesome tree; one of those trees that you love to find and decorate, one of those trees that inspires living room camp-outs. My dad loved the tree, and wanted me to take a picture. Somehow I never really got around to it until one morning I was up early to catch a flight to somewhere, and realized that the tree wouldn’t be around when I got back. I grabbed my camera, tripod, and shot two frames on my way out the door. Wow Rowan! I [LOVE] this picture!! !